Edwards Cinemas and Regal Cinemas chains are on a big push to provide a new service and convenience to accommodate their patrons by adding new beverage bars to their existing theatres. The Edwards Theatre, New Modular Bar Project is located at the Ontario Mills Mall, Ontario California. 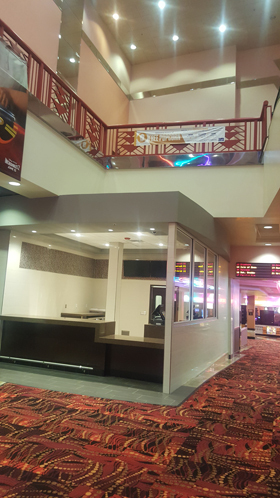 This is the 2nd project ORR Builders has completed for the Regal Entertainment Group. Edwards houses 21 luxury theatres and one IMAX. The New Modular Bar is a full-service, free-pour bar where patrons can order from a variety of domestic and imported beers, wines and a variety of cocktails to enjoy them while watching a movie. 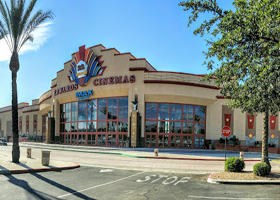 ORR’s scope-of-work was to transform a portion of the IMAX lobby into the new bar and adjacent support and storage rooms. To create necessary space for the bar, the existing washing equipment and storage area designated for the IMAX 3D eye glasses had to be relocated by ORR Builders to a second floor room prepared by ORR. Our work included demolition, structural upgrades, a complete array of finishes as well as the mechanical, plumbing and electrical revisions and upgrades to support the operations of the bar. The remodel required low voltage services to include data, security and fire alarm systems to be upgraded and extended to the new bar and adjacent support rooms. The project finished off with installation of stainless steel bar equipment including sinks, ice machine and ice bins, coolers, stainless steel shelving and racking, beverage displays and dispensing systems, provided by owner.